The Coralville Police Department is asking for assistance in identifying the following subject regarding a forgery incident. 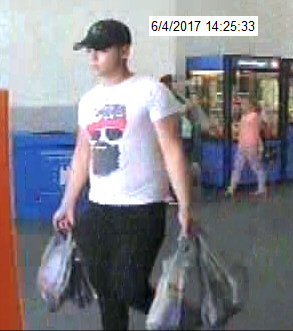 The male subject in the photo below is suspected in making several unauthorized credit card purchases at area Walmart stores on 6/3/17 and 6/4/17 (C17001923). If you can help identify this subject, please call Iowa City Area Crimestoppers.